MTN just announced a new offer that gives subscribers 1GB For N200 , However this plan is not for everyone. 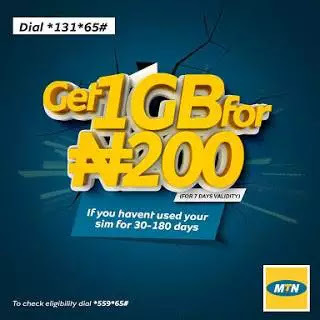 Simply get an MTN Sim that you haven’t used for 30 days – 180 days. To check Sim eligiblity, dial *559*65#.